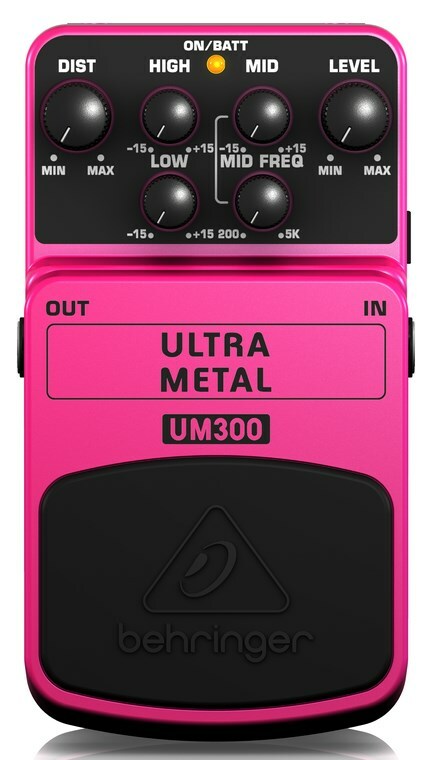 The UM300 provides you with super-thick, tube like distortion whilst also enhancing your guitars natural tone. The unit utilises Behringer's multi-gain circuitry alongside dedicated distortion, 3-band EQ and level controls to let you completely shape your guitars tone. You can power the UM300 with either a PSU-SB DC power supply (not included), or pop in a 9 V battery for portable use. Is there a hole in the middle of your tone? You’ll be surprised how affordably and efficiently the ULTRA METAL UM300 can fill it!